This is a rectangular Eveready porcelain sign. 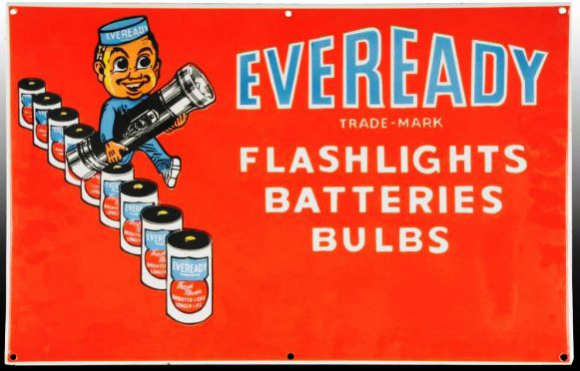 This particular Eveready sign features a man in blue carrying a flashlight along a row of white batteries against a red background. It reads, “Eveready Trade-Mark, Flashlights, Batteries, Bulbs”.